The Arduous March: Was It a Man-Made Famine? Experts say yes, the effects of the Arduous March, which left up to 3.5 million people dead from starvation and related illnesses, could have been significantly lessened if the North Korean regime would have distributed international food aid to all political classes. Joseph, a recent defector, is one victim of millions of the Kim regime. He was a young teenager when his father passed away from starvation in North Korea. Joseph’s sister attempted to travel to China to earn money in order to provide food for him and her, because there was none in North Korea, but Joseph does not know if she was successful. At only thirteen years old, Joseph became an orphan on the streets and was forced to fend for himself. Joseph says he barely survived each day because he constantly had to search for food. Fortunately, Joseph was eventually able to escape North Korea into China. Joseph’s escape from North Korea and starvation is an extremely rare feat for North Koreans. Tragically, though, many more people are currently starving or have died as a result of widespread famine in North Korea. As Sung-Yoon Lee notes, “North Korea is the most industrialized, urbanized, literate country to undergo a famine,” which is also the “most unique aspect of North Korea.” Unfortunately, North Korea’s uniqueness manifests itself yet again in a manner that negatively impacts a large percentage of its 24 million people. The famine in the 1990s is argued to be a man-made event, not in the sense that the Kim regime intentionally engineered the famine, but in the sense that the regime stood by and did nothing to alleviate the suffering of its people who lacked food while it [the regime] had the ability to provide for them. Juche was formulated to justify Kim Il Sung’s dictatorship and succession of power to his son, Kim Jong Il, emphasizing peculiar aspects of the North Korean environment…the ideology also serves as a tool that justifies the leader’s demand for the populace’s unquestionable loyalty…juche ideology is the ultimate paradigm that guides State activities. Overall, an incredible amount of North Korea’s power is derived from this skewed and wasteful national policy of regime control. The irony, however, is that North Korea is not self-reliant. This is made painfully obvious by the country’s inability – or unwillingness – to fill the stomachs of its starving people without foreign aid. Despite this, the Kims continue to proclaim the idea of juche through the use of monumental propaganda campaigns amidst the prevalent starvation, abuse, and civil and political oppression of North Koreans. Kim Il Sung’s descendant and son, Kim Jong Il, spent his life bolstering North Korea’s nuclear capabilities. From 1994 to 2011, “The Great Successor” ruled with an incredibly harsh iron fist and instituted disastrous economic policies. He spent a significant amount of North Korea’s treasure on nuclear programs rather than ensure his own people were fed. The North Korean State managed to survive only because of the financial support of China and Russia. Kim Jong Il did not, however, pay back the loans from these allies, and therefore lenders soon stopped their ‘friendship prices’ with Kim. “Without cheap fuel oil and raw material, the DPRK could not keep the factories running, which meant it had nothing to export. With no exports, there was no hard currency, and without hard currency, fuel imports fell even further and the electricity stopped.” And so the cycle of the famine began. I think I lost my mind from dizziness, sleep deprivation, and hunger. My grandmother and my neighbors died of starvation. When you went into the cities, train stations, markets, and alleyways, you found lots of dead bodies. I do not know the exact number, but countless people died. Countless. The North Korean State controls the amount of food that its people receive. People who grow crops must give most of it to the state, which then distributes food in a top-down approach. During the years of the Arduous March, however, there was not enough food to go around. 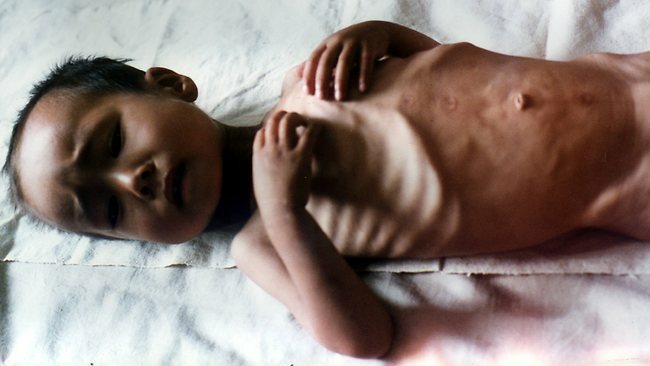 This famine is believed to have occurred from 1994 to 1998 in North Korea. The estimated number of North Koreans who perished as a result of the famine varies widely, since the Kim regime controlled the access of information and reporting in the country. However, estimates of deaths due to hunger appear to range from 600,000 to 3 million people during this period. Among deaths and hunger-related illnesses, estimates are anywhere from 240,000 to 3.5 million people out of a total population of 22 million. Unfortunately, the 1990s famine was not a single occurrence, since hunger has been a persistent problem for North Koreans for years. Every decade or so there is another famine. In 2009, a ROK Ministry of Unification survey found that of the North Korean refugees surveyed, 29.6% identified the greatest abuse of human rights in North Korean society as the famine. A study in 2011 by South Korean anthropologists of North Korean children who had defected to China found that 18-year-old males were 5 inches shorter than South Koreans their age. Roughly 45% of North Korean children under the age of five are stunted from malnutrition. Most people eat meat only on public holidays, namely Kim Il-sung’s and Kim Jong-il’s birthdays. One report by the Tokyo Shimbun in April 2012 claimed that since the death of Kim Jong-il in December 2011, around 20,000 people had starved to death in South Hwanghae Province. Another report by the Japanese Asia Press agency in January 2013 claimed that in North and South Hwanghae provinces more than 10,000 people had died of famine. Other international news agencies have begun circulating stories of cannibalism. Currently, there are many North Koreans who are malnourished and starving. Most shockingly, however, is the probability that many people died during the 1990s famine because it was man-made. As Sung-Yoon Lee notes, North Korea sought international food aid for the first time in history in 1994, and a disastrous flood in the summer of 1995 exacerbated the hunger situation. Based on the definitive book by Stephan Haggard and Marcus Noland, although the regime had adequate food supplies due to international aid, it willfully denied its population available sustenance. Food was prioritized for soldiers, illustrating the reality of the regime’s “Military First” policies. Haggard and Noland argue that this willful denial of food by Kim Jong Il elevates to crimes against humanity. Of course, North Korea’s official position has always been that this famine was a result of U.S.-led sanctions for the last 60 years. Nevertheless, Haggard and Noland point out that North Korea received billions of dollars in international aid that would have been enough to feed its starving population. The regime instead used aid to buy weapons and not food, and it even turned away international aid workers. Based on this information, North Korea has to be culpable for failing to prevent the starvation of its people; as a state, it should be obligated to ensure its people do not die of hunger if it is capable of preventing such a tragedy. Interestingly, there are black market food stalls that have appeared throughout the famine years and onward due to the state’s inability (and unwillingness) to provide enough food. “Since the 1990s famine, the regime has tolerated informal food markets and small, private farm plots. When the official, state-run food market fails, which it inevitably does, the secondary market can keep people fed.” Although these markets are technically illegal, enforcement is selective and the markets are only periodically regulated. Thus far, Kim Jong Un has not shut down these secondary food sources, and for now he is allowing citizens to buy and sell goods in illegal markets. A “market” may only consist of an elderly woman with a small amount of food for sale, but it is better than nothing for hungry people, even though it’s illegal. Since there have been food shortages in the past, it is likely there will be more in the future for North Korea since there are no signs of any substantial changes that might alter the economy. In fact, just last year the World Food Program “reported that food would be sent to North Korea as soon as possible. The food would be processed by a local processor and delivered directly to North Korean citizens.” This indicates there are many North Koreans in dire need of sustenance in order to survive. While the future of North Korea is unknown, a famine is surely not unrealistic. It could be triggered by severe drought, another flood, or even a desire by the Kim regime to divert more funds toward weapons instead of food production and distribution. However, the more famine that North Koreans experience, the harder it will be for the regime to ‘feed’ its citizens with lies that the American “imperialists” are to blame. Perhaps, even, a food shortage in North Korea will eventually lead to enough civil unrest that there will be a glimmer of hope and change in the Hermit Kingdom. Joseph, “My Life in North Korea:” A Testimony by Joseph, a North Korean Defector, The Fletcher School, March 28, 2013. Max Fisher, The Cannibals of North Korea, The Washington Post, February 5, 2013, http://www.washingtonpost.com/blogs/worldviews/wp/2013/02/05/the-cannibals-of-north-korea/. Dae-Kyu Yoon, The Constitution of North Korea: Its Changes and Implications, 27 Fordham Int’l L.J. 1289, 1291 (2004). BARBARA DEMICK, NOTHING TO ENVY: ORDINARY LIVES IN NORTH KOREA 67 (Spiegel & Grau 2009). Wikipedia, North Korean Famine, http://en.wikipedia.org/wiki/North_Korean_famine. Songbun, supra note 2, at 86-87 (citing Lee Kum-sun, Kim Su-am, “Pukhan Inkwon Chimhae Kujo mit Kaeson Chollyak (North Korean Human Rights Abuse and Strategies for Improvement), Ministry of Unification (Seoul: Research Series 09-11, 2009)); see also id. at 104. 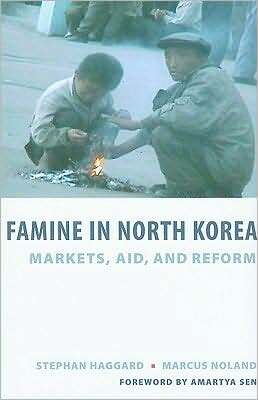 Stephan Haggard & Marcus Noland, Famine in North Korea: Markets, Aid, and Reform (2009). Haggard & Noland, supra note 35, at 209.